We absolutely love aprons! 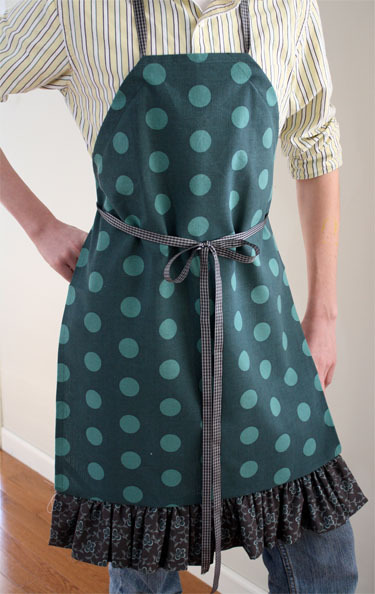 A kitchen apron can be utilitarian, useful, kitschy and clever. And a handmade apron makes a wonderful gift, especially for Mother’s Day. Here are a handful of our favorite free apron projects and tutorials, including a vintage inspired apron pop bottle cozy! Skip To My Lou has created a clever apron tutorial for stitching a Simple Apron from pretty tea towels. With so many pretty kitchen and tea towels around these days, there are endless possibilities for this idea. 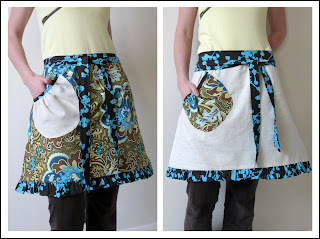 Modest Maven created a sweet reversible Hostess Apron for a class, and shares her tutorial. Follow along with the instructions in the blog post to create your own fancy apron, perfect for entertaining at any occasion. Make It Do created a Garden Apron with lots of pockets perfect for plodding around in the garden. A great gift for anyone who spends time preening and pruning plants. And speaking of aprons with lots of pockets, Rosey Corner Creations has shared a Craft Apron tutorial that looks good and is incredibly useful with lots of pockets to hold all of your crafting supplies. 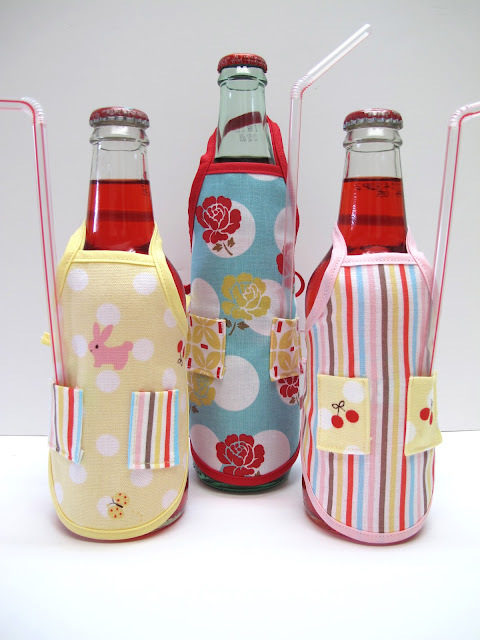 And if you’re planning a summer party, these cute Apron Bottle Covers would be perfect party favors! Bee In My Bonnet shares a little pattern and tutorial for making these little apron creations, complete with little pockets that hold a straw. Previous Previous post: Make Yourself at Home! The BERNINA USA WeAllSew Challenge – #2 of 3 – Begins Today!